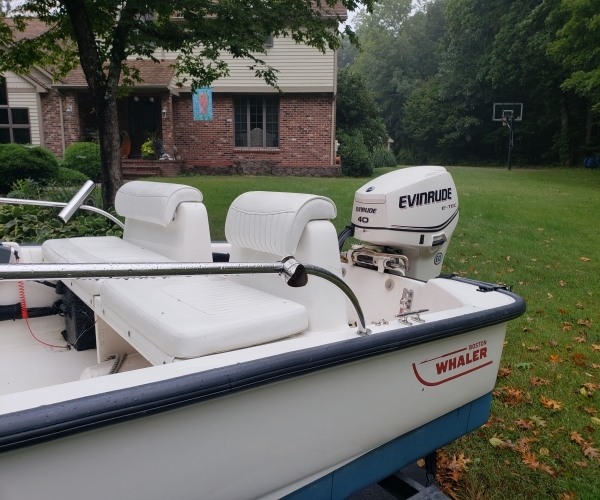 I have a mint 2007-2015 Boston Whaler Super Sport with a new left over Evinrude 40hp Etec installed 2 years ago with all new controls and gauges. Come with warranty until 2021.Has much more power than the dog 40hp Mercury that it came with. Boat comes with a mint whaler trailer with new hubs and tires. 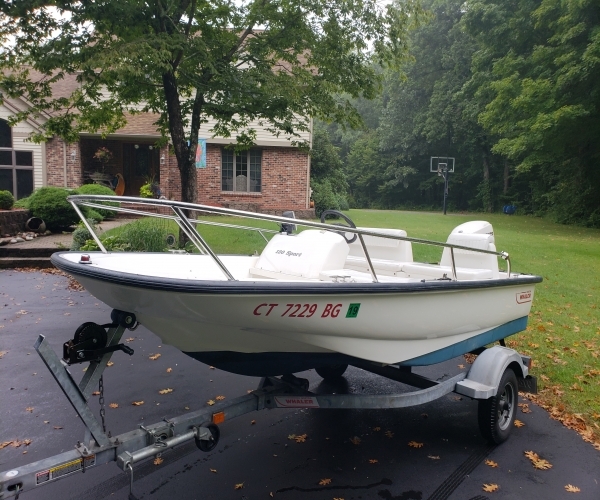 Included is 2 tanks and a suntop that has never been used with all stainless rails and comes with a full mooring and or winter cover, Has a Garmin GPS546s chart plotter and fish finder.. Installed a keel guard and a swim ladder. All in perfect shape. I have 3 boats and never use it.I paid over $6800 just for motor and controls.Deal at 11,500.